Mary asked the angel, “But how can this happen? I am a virgin.” The angel replied, “The Holy Spirit will come upon you, and the power of the Most High will overshadow you. So the baby to be born will be holy, and he will be called the Son of God. What’s more, your relative Elizabeth has become pregnant in her old age! People used to say she was barren, but she has conceived a son and is now in her sixth month. For the word of God will never fail. ” Mary responded, “I am the Lord’s servant. May everything you have said about me come true.” And then the angel left her. This is just four verses of the story. Such a small part of the volume known as the Bible. And yet, such an important part. There is so much packed in here. So many details that are worth time and contemplation. So much joy hovering beneath the surface. 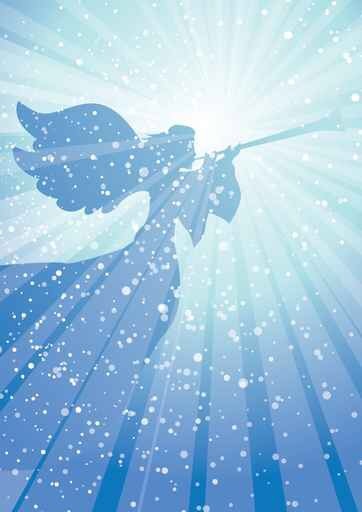 Mary is confused – of course she is – but the Angel’s response tells her that she is going to be part of something unique and miraculous. I wonder what it means – what it feels like and how it happens – to have the “power of the Most High overshadow you.” It’s beautiful, poetic language. But it is also deeply mysterious. Whatever the mechanics of it, the baby born from this event will be holy. Sacred. Dedicated to God. Consecrated. Not your average little bundle of joy. A bundle of joy on a whole other level. And then the Angel says that Elizabeth, Mary’s cousin, who has lived her life under the pall of barrenness, is pregnant in her old age. Elizabeth’s life is redeemed by this miracle. She is no longer one whom God does not favor. Instead, she is part of God’s plan of salvation. And why is all of this taking place? Because the word of God will never fail. Because God’s promises are true. Because God loves people and does not want us to be separate from him. Then there’s Mary’s humble response. Her willingness to participate in God’s plan. Her willingness to see this through, though she could not possibly have known all that it would cost her. There is so much to celebrate, so much to remember, so much to learn from here. This Advent, may you know the joy of God’s word never failing. May you draw close to the power of the Most High. May you serve with a willing and joyful heart.